Logo always marks your presence and it is one image with thousand words. It expresses value to you. 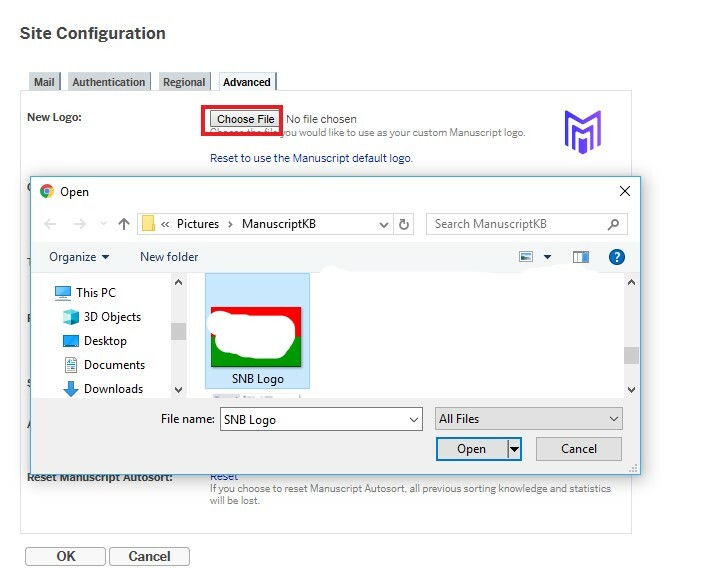 Hence manuscript allows you to have your own logo for your application. To do so follow the below steps. In the Site Configuration click on the tab Advanced. Click on Choose File Tab to upload your save image of Logo. Hit the OK Button to the bottom of the window, so the logo change will take effect.